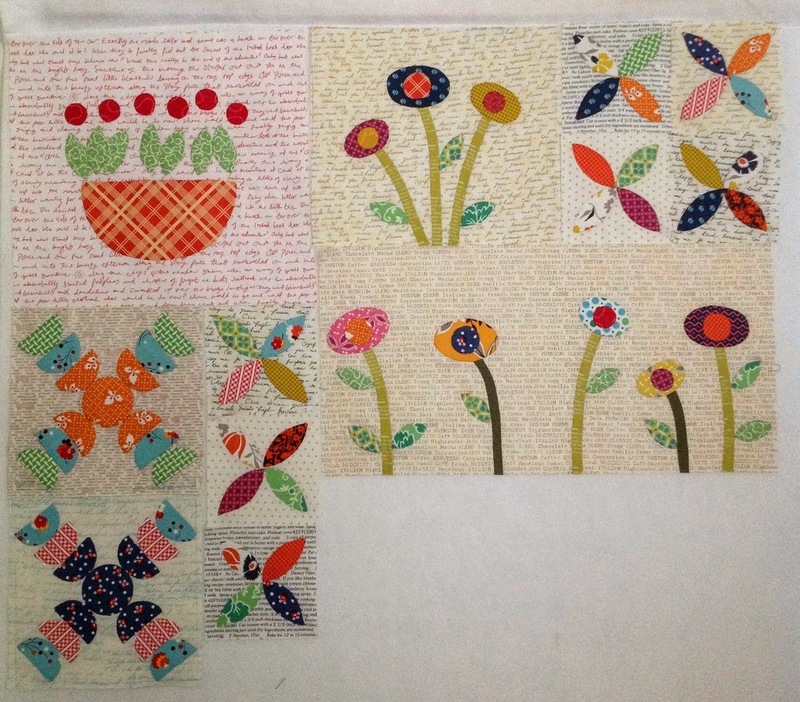 I have been busy working on the next lot of blocks for my Green Tea and Sweet Beans quilt. These are the blocks I have so far. Now it's time to prep some more. 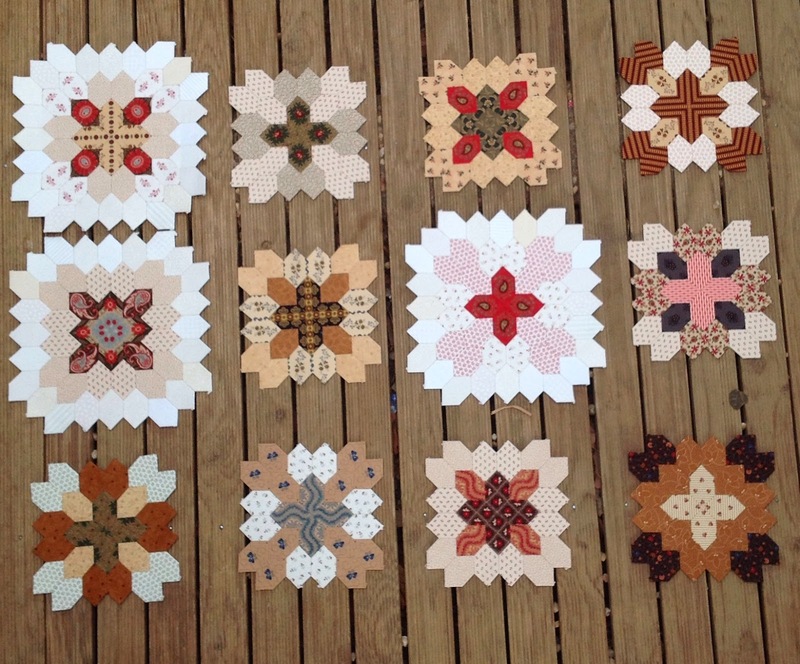 I laid out my "Lucy Boston Blocks" yesterday. I am trying to make a decision on the colour of fabric to use for the 1" square blocks that will join these together. Any suggestions? So far I keep going from Burgundy to a Coffee colour. and these pretties also came home with me. Luv your Lucy Boston blocks, the colour of the boards make the light colour "pop"! I am new to your blog. Love your Lucy Boston blocks as well! 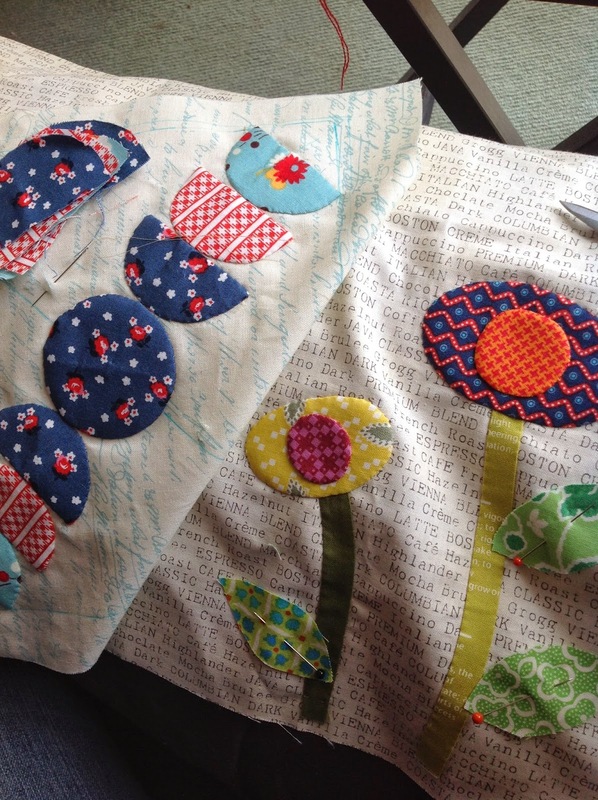 I am forever working on a Grandmothers Flower Garden quilt for my granddaughter with Ruby! Love!! 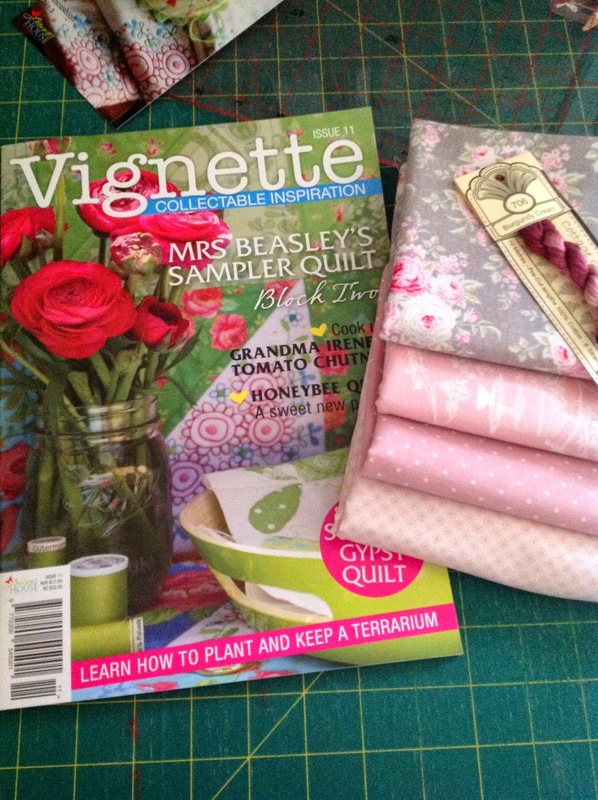 Say, is the Vignette magazine a quilting magazine? I live in the states and haven't seen it before. Love all your blocks, especially GT&SB! Can we have an audition of the contenders for LB? Those Lucy Boston's are just stunning every time I see them I think how special they are. Don't you love having lots of favourite projects to work on. 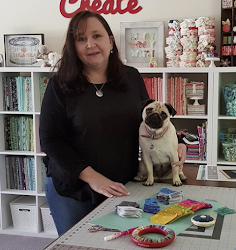 I often wish I could sew more than one thing at once. Your Lucy Boston blocks look great. I think darker squares are a good idea, something tone on tone or with a small spot. I'd lean towards the coffee...or chocolate! And then your new purchases are completely different. 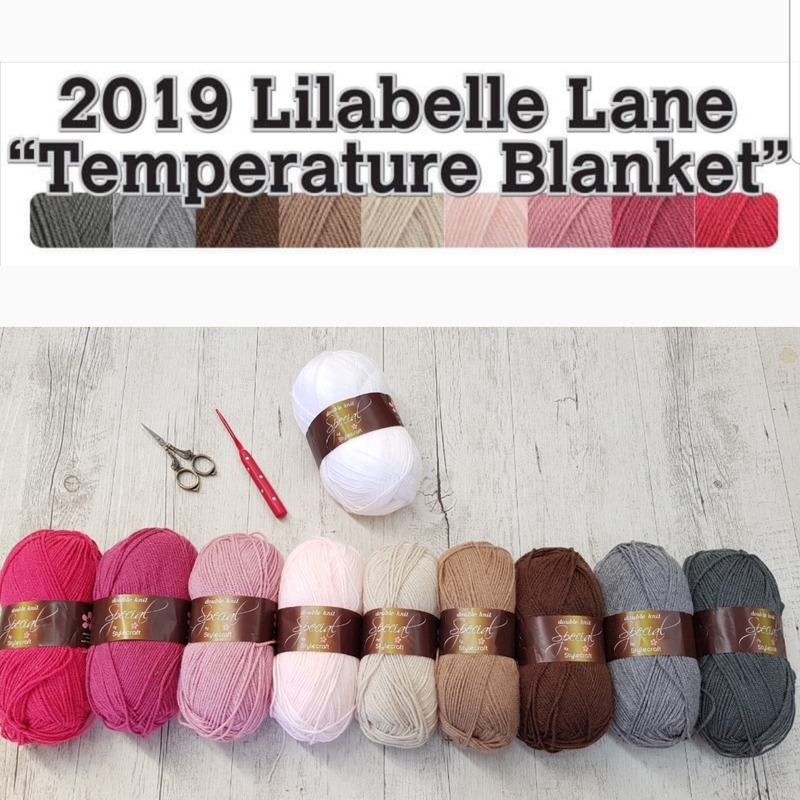 Never a dull moment on Lilabelle Lane. Love seeing what you're up to Sharon. Everything you're working on is wonderful. Love those blocks especially with the script backgrounds. Loving LB . Maybe a completley different colour to make the blocks stand out? Just a thought. I like seeing the blocks together for both quilts. You are making wonderful progress. Love all your work ,I would go towards dark for the tiny squares. The Green tea is so lovely. Lovely work , thanks for sharing your progress so far. both quilts are going to be beautiful.